GERMANY, Undisclosed Location — Based on breaking news and events, it appears that CIA Headquarters located beneath CERN at Lake Geneva in Switzerland is plotting a Special Forces (i.e., professional terrorist) attack, coup d’état and subsequent Civil War in America most likely via U.S. Navy SEALs allegedly loyal to Obama. As detailed in the Truther.org report from September 20, 2018, entitled in-part ‘The 2018 Obama Coup Detat‘, evidence now confirms that the Swiss CIA is plotting a military coup d’état in the United States specifically to install an Obama military dictatorship. Needless to say, Hitlerian legislation and wars will follow. Shortly after a U.S. Navy SEALs-related attack or coup, the CIA will foment a second Civil War between military dictator Obama who will be known as Team Obama (Blue Team) and Team Trump (Red Team). In the event that Trump is assassinated or held hostage during the impending coup, another right-wing fascist politician will take his place. The notion that the CIA is plotting a Team Obama versus Team Trump-like Civil War in America was confirmed by the March 20, 2017, Daily Beast report entitled ‘Cabinet Ballers: Team Trump vs. Team Obama‘ which coincidentally featured red and blue baseball-like cards with photos of Democrats and Republicans. The impending Obama military coup will likely be executed by current and/or former U.S. Navy SEALs who previously served during the Obama administration and/or hate Trump who has routinely betrayed the U.S. Military and her Navy SEALs via scores of questionable military decisions and CIA-spawned publicity stunts. In order to associate Navy SEALs with an American coup just prior to its fruition in reality, it was reported on August 8, 2017, that a Navy SEAL threatened a second Civil War if Trump is removed from office claiming that so-called ‘patriots’ will ‘execute’ Americans in a ‘gruesome massacre’. Back on March 15, 2017, traitorous Infowars.com published a report entitled ‘Famous Navy Seals Calls for Veterans to Defend Trump Now!‘ which was designed to foreshadow that a Navy SEAL and U.S. Military veteran-related attack, coup, hostage crisis and/or siege targeting the Trump Administration is imminent. In order to provide a timely motive for a U.S. Navy SEAL attack on Trump, NBC News published a report on June 13, 2017, entitled ‘Trump Blocks National Veteran Group on Twitter‘ which claimed that Trump blocked the Twitter account of VoteVets.org, an organization that represents around 500,000 U.S. military veterans and their families. The notion that the CIA is planning a U.S. Navy SEAL attack on the Office of the President of the United States and/or the U.S. Congress was foreshadowed by a Political Dig report from July 1, 2017, entitled ‘Navy SEAL Who Killed Bin Laden Just Attacked Trump And His Team, Here’s What He Said‘. In short, the report stated that former Navy SEAL, Robert J. O’Neill, who allegedly fired the shot that killed Osama Bin Laden, ‘took a shot at White House deputy press secretary Sarah Huckabee Sanders‘ after she defended Donald Trump’s Executive Order reorganizing the U.S. Department of Veteran’s Affairs. Exactly what the impending U.S. Navy SEAL coup will entail is not known, but it will most likely feature a made-for-TV attack on the White House, U.S. Capitol Building and/or one of the 50 U.S. State Capitol Buildings as previously foreshadowed in the Truther.org report from September 20, 2018, entitled in-part ‘The 2018 Obama Coup Detat‘ which revealed that the CIA is plotting an American military coup d’état prior to December 31 2018, specifically to install an Obama dictatorship. The notion of a coup targeting the Office of the President of the United States was foreshadowed in the Hollywood propaganda films entitled ‘Olympus has Fallen‘ (2013) and ‘White House Down‘ (2013). Roughly 4-years later on April 1, 2017 (April Fool’s Day), CIA propagandist R. Hobbus published a report entitled ‘Barack Obama Reinstated as 44th President of the United States Following Military Coup‘ which foreshadowed the impending U.S. Navy SEALs coup. In short, the report states that, ‘Millions of jubilant Americans poured into the streets in celebration […] after former president Barack Obama took an abrupt break from writing his memoirs to valiantly reclaim his position as the 44th President of the United States in an awe-inspiring bloodless coup supported by strategic elements of the U.S. military. Shortly after 9 A.M. (EST), a massive column of M1 Abrams battle tanks and armored personnel carriers escorted by a squadron of U.S. Army attack helicopters rumbled down Pennsylvania Avenue towards the White House. Perched atop the turret of the lead battle tank, President Barack Obama, First Lady Michelle Obama, and their two wonderful children, Malia and Sasha, smiled radiantly as they waved and tossed candy into the eager hands of thousands of ecstatic Americans who lined the streets of Washington, D.C…In keeping with his weekly tradition, Mr. Trump was not in Washington […] but was instead relaxing at his billion dollar Mar-a-Lago estate in Palm Beach, Florida […] when two UH-60 Blackhawk helicopters carrying a contingent of U.S. Navy SEALs touched down…Moments after his arrest at Mar-a-Lago, Mr. Trump was tried and convicted of treason for attempting to interfere with the 2016 presidential election by colluding with a foreign entity. He has since been transferred to an undisclosed location’. Back on May 25, 2015, Truther.org published a report entitled in-part ‘ISIS ENDGAME: How and Why the CIA in Switzerland Created ISIS as Cover for Nuclear and Biological Terror Attacks’ which revealed that that CIA was funding ISIS via the Obama administration under the guise of the Syrian Rebels. Roughly 3-years later on June 24, 2018, Truther.org published a report entitled in-part, ‘TOP SECRET ISIS HEADQUARTERS LOCATED IN AL-TANF, SYRIA‘ which exposed the fact that the U.S. Special Forces Military Base at Al-Tanf was the unofficial headquarters of the CIA-sponsored terror group commonly known as ISIS which largely consists of U.S. and NATO Special Forces (i.e., professional terrorists). Shortly thereafter on September 7, 2018, the United States Central Command announced an Operation Inherent Resolve live fire exercise at the Al Tanf base in Syria which was labeled a ‘defeat-ISIS exercise‘. Translation: the CIA officially killed off the name of ISIS and subsequently created a new terrorist group specifically designed to infiltrate, attack and ultimately try to overthrow the U.S. government. Although the new name attributed to the ex-ISIS group of Special Forces could be linked to the Bundy Militia of Nevada, a new name incorporating the name of ‘SEAL’ or ‘SEAL Team 6’ may be used to describe the new group of domestic terrorists slated to take part in the new American Civil War. Lastly, the notion that ISIS consists of Special Forces (i.e., professional terrorists) was confirmed, albeit in a de facto manner, back on July 8, 2015, when Business Insider published a report entitled ‘ISIS has ‘Special Forces’‘ which revealed that the elite shock troops called ‘Inghemasiyoun’ are ‘fanatical and disciplined’ and ‘nimbly move between conventional and guerrilla warfare’ are ‘backed by armored vehicles, Humvees, and sometimes even artillery move to take over territory’. Like U.S. and NATO Special Forces, ISIS uses ‘remote-controlled aircraft fitted with cameras to film enemy positions’ and is ‘believed to have agents within the [U.S.] military’. As CIA operative Patrick Skinner correctly states, ISIS has ‘the ability to jump back and forth between traditional (military operations) and terrorism’ which is exactly what one would expect from the terror group who only has to change their flag in the aftermath of an attack as they have virtually identical uniforms, weapons and military equipment as the U.S. Military. Although only conjecture, it appears that the CIA has chosen former U.S. Navy SEAL, Jesse Ventura, to play a major role in the upcoming military coup which is evidently why he was inexplicably allowed to become the Governor of Minnesota back in 1999. Considering that Ventura has long been anti-Obama and anti-Trump, it appears that the CIA will recall Ventura to the United States from Mexico (where he has been vacationing with his wife for the last 10-years) in order to lead a group of Navy SEALs against the Trump administration. Once Obama has been placed back into power, Ventura will likely be double-crossed and assassinated by the CIA after which his army of Navy SEALs will be absorbed into a state-sponsored militia fighting either against for or against the Obama administration. The notion that Ventura has been chosen as the leader of the so-called Second American Revolution (i.e., Civil War) was foreshadowed in his book entitled ‘Don’t Start the Revolution Without Me‘ (2009) which confirms, albeit in a de facto manner, that he fully advocates an overthrow of the U.S. government. Not only that, but Ventura was the host the television show entitled ‘Conspiracy Theory with Jesse Ventura‘ (2009-2012) which covers the JFK Assassination and Manchurian Candidate, both of which apply to a coup targeting both Obama and Trump. In what appears to be a CIA blood sacrifice offered up to a U.S. Special Forces-related attack or coup targeting America (namely in Arizona), the CIA assassinated NFL player and U.S. Army Ranger, Pat Tillman, back on April 22, 2004, in Spera, Afghanistan. The notion that NFL star was executed during a ritualistic blood sacrifice is corroborated by the fact that: a) Tillman was killed under the guise of ‘friendly fire’. In other words, he was assassinated by a paid member of the U.S. military, and b) Tillman’s death contains the dreaded ISIS numerology which confirms his murder was premeditated. The amount of time between Tillman’s birth on November 6, 1976, and his death on April 22, 2004, marks exactly 10,029-days. Because the number ‘2’ doubles as ‘S’ which is the 19th letter in the English alphabet, the number ‘129’ equates to ‘S+S’ which is consonantly speaking the same as ‘Suisse’ (S+S), an alias of Switzerland currently used in French, and ‘ISIS’ (S+S), the secret code-name of CIA Headquarters located beneath CERN at Lake Geneva in Switzerland. Also, the numerology found in the death of Tillman’s death on April 22nd is coincidentally found in the number ’42’ of his Arizona State University football jersey, and the number ’40’ of his Arizona Cardinals football Jersey. A coincidence? Not a chance. Lastly, as evidenced by the front of the September 10, 2006, Sports Illustrated entitled ‘Remember His Name‘, Tillman is being used a prop by the CIA to not only bolster the fraudulent Osama bin Laden-Al Qaeda narrative by being the poster boy for the War on Terror but to associate the state of Arizona as well as the NFL with Special Forces prior to a made-for-TV attack or coup by the U.S. Navy SEALs. In what appears to be a CIA blood sacrifice offered up to a U.S. Special Forces-related attack targeting America (namely Arizona), the CIA assassinated U.S. Navy veteran, Vietnam war hero and U.S. Senator, John McCain, on August 25, 2018, under the guise of complications from brain cancer. McCain’s blood sacrifice is rather curious considering that he was previously photographed with so-called Syrian Rebels (i.e., ISIS) as evidenced by the fact that the man to his left is none other than alleged ISIS mastermind and leader, Abu Baker Al-Baghdadi. The photo of McCain with Al Baghdadi has repeatedly been dismissed by the CIA-run media as fake as evidenced by the New York Times report from September 11, 2014, entitled ‘Try as He May, John McCain Can’t Shake Falsehoods About Ties to ISIS‘. The photo, which was originally posted on McCain’s Twitter feed back on May 28, 2013, clearly shows the U.S. Senator posing with ISIS leader Al-Baghdadi along with a spiderweb in the background. The web was designed to foreshadow that McCain had become entangled in state-sponsored terrorism. Although only conjecture, it appears that the CIA will stage a U.S. Navy SEAL-related attack and/or coup targeting the Arizona State Capital Building in Phoenix which is located adjacent to the Arizona State Capitol Executive Tower which may suffer a 9/11-style bio-chemical attack during the impending Navy SEAL-related attack and/or coup. To date, there have been at least 5 other such stunts designed to associate President Trump along with the U.S. Navy SEALs prior to a made-for-TV Navy SEALs attack/coup. The first Trump-SEAL publicity stunt was identified on February 1, 2017, when ABC News published a report entitled ‘Military Convoy Flying Trump Flag Belonged to SEAL Unit‘ which revealed that the U.S. military convoy was spotted flying a Donald Trump flag near Louisville, Kentucky back on January 29, 2017. The convoy reportedly belonged to an East Coast-based SEAL unit. Military officials launched an inquiry to determine if any misconduct could be linked to the incident. Lieutenant Jacqui Maxwell, a spokesperson for Naval Special Warfare Group 2, stated that, ‘The convoy were service members assigned to an East Coast-based Naval Special Warfare unit driving vehicles while transiting between two training locations’. The second Trump-SEAL publicity stunt was identified on February 5, 2017, when a photo of U.S. Navy SEALs holding Trump flags was published on Twitter. To date, the name of the SEAL team or her soldiers has yet to be identified. Whether military officials launched an inquiry to determine if there was any misconduct is also not known. The third Trump-SEAL publicity stunt was identified on March 1, 2017, when Military.com published a report entitled ‘SEALs Punished for Flying Trump Flag on Highway‘ which stated that the aforementioned Navy SEALs who flew a Trump flag from their convoy were punished for violating military regulations prohibiting political endorsement. The U.S. Navy determined that the SEALs violated the spirit and intent of applicable [Defense Department] regulations concerning the flying of flags and the apparent endorsement of political activities. The fourth Trump-SEAL publicity stunt was identified on May 24, 2018, when President Trump awarded U.S. Navy SEAL, Britt Slabinski, the Medal of Honor for his March 2002 ‘daring assault’. Trump stated during the ceremony that, ‘You waged a fierce fight against the enemy and these really have become the enemies of America and the enemies of all civilization…Through your actions, you demonstrated there is no love more pure and no courage more great than the love and courage that burns in the hearts of American patriots. We are free because warriors like you are willing to give their sweat, their blood, and if they have to their lives for our great nation’. The ominous words were specifically written for Trump by the CIA to foreshadow the impending U.S. Navy SEAL attack, coup and Civil War. The fifth Trump-SEAL publicity stunt was identified on July 10, 2018, when Politico published a report entitled ‘Trump Congratulates Thai Navy SEALs for Rescue of 12 Boys‘ which detailed President Donald Trump’s congratulatory remarks regarding the Thai Navy SEALs following the rescue of 12 young soccer players and their coach who were allegedly trapped in a cave for more than two weeks. Trump tweeted, ‘On behalf of the United States, congratulations to the Thai Navy SEALs and all on the successful rescue of the 12 boys and their coach from the treacherous cave in Thailand. Such a beautiful moment – all freed, great job’. In order to provide yet another timely motive for a U.S. Navy SEAL attack or coup targeting the Office of the President of the United States, Trump verbally banned transgendered soldiers from serving in the U.S. Military as detailed in the July 26, 2017, Daily Mail report entitled ‘Transgender Former Navy SEAL Slams President Trump After He Bans Trans People from Serving in the Military‘. The report highlighted former Navy SEAL, Kristen Beck, who has repeatedly slammed Trump over his trans military ban and demanded that he tell her to her face that she’s ‘not worthy’. Beck, who served in the military for 21 years, spoke out against Trump after he declared that he wants transgender people barred from serving ‘in any capacity’. ‘Let’s meet face to face and you tell me I’m not worthy,’ Beck told Business Insider. ‘Transgender doesn’t matter. Do your service. I was defending individual liberty. I defended for Republicans. I defended for Democrats. I defended for everyone.’ Trump claimed that he consulted with ‘generals and military experts’ ahead of his decision. He said the military ‘must be focused on decisive and overwhelming victory and cannot be burdened with the tremendous medical costs and disruption that transgender in the military would entail.’ Beck slammed Trump for trying to blame the ban on costs saying it was ‘.000001% of the military budget.’ Beck said. ‘He’s turned his back on a lot of Americans. He’s turned his back on a lot of veterans. And that’s just not right.’ Roughly a week later on August 2, 2017, People magazine published a report entitled ‘Transgender Navy SEAL Kristin Beck: ‘Transgender People Are Some of the Most Patriotic’‘ which quoted Beck who stated that, ‘We value our liberties because we know what it means not to have them’. Beck enlisted in the Navy as Christopher and eventually joined the SEALs, serving with the revered counter-terror Naval Special Warfare Group (DEVGRU), otherwise known as SEAL Team 6. She served as part of seven combat deployments and received a Bronze Star and a Purple Heart (for being wounded in action). Beck says she initially viewed Trump’s tweets as a chain-of-command issue. ‘I’m not sure he totally understands how the president interacts with the Defense Department’, Beck stated. ‘There’s a whole process they go through, and this isn’t it. What he did in one series of tweets is, he gave directives, but no timelines, no execution’. In other words, Trump will not ban transgenders from the military despite his offensive tweets which were only disseminate to publicly enrage Navy SEALs just prior to a made-for-TV attack or coup. Although only conjecture, it appears that the entire narrative surrounding the death of U.S. Navy SEAL, William ‘Ryan’ Owens, is a colossal hoax perpetrated on the American people by the CIA. That is to say that the likeness of Owens was hijacked (possibly from Bill Owens himself) specifically to create the fraudulent narrative needed to spark a Civil War in America over the alleged death a U.S. Navy SEAL who does not even exist in reality. The CIA routinely uses fraudulent likenesses as witnessed in the case of one Trayvon Martin, so the very notion that the likeness of Owens has been fabricated is almost expected. What are the odds that a U.S. Navy SEAL who is photographed along with Air Force One, the Oval Office, the White House and President Obama’s dogs is the first service member killed during the Trump Administration? Odds of such a coincidence are likely a quadrillion to one. This notion is substantiated by the fact that there is absolutely no corroborating evidence that Owens actually visited the White House as alleged as evidenced by the lack of Owens’ name on Obama’s itinerary and the lack of a photo documenting the covert meeting between Owens and Obama. Also, there is not a single photo of Owens with his wife Carryn, despite being married for years and having 3 children. Although there are a few photos of Owens with his alleged father Bill Owens, they appear to be photo-shopped because they are likely one in the same person. Despite Owens’ alleged mother dying of cancer, there are also no photos of him with her whatsoever. Not only that, the unprecedented amount of medals awarded to Owens is highly suspect especially considering that there are no photographs or videos to corroborate the ceremonies during which the medals were allegedly awarded. Lastly, the notion that the likeness of Ryan Owens is dated and/or was stolen from a former soldier is corroborated by the fact not a single video exists of Owens in military action despite the fact that the Navy SEALs routinely use body cameras during their operations. Needless to say, the aforementioned anomalies suggest that the entire narrative surrounding the likeness of one William ‘Ryan’ Owens is a colossal hoax specifically designed to spark a U.S. Navy SEAL-related attack or coup targeting the inept Trump Administration. Based on previous blood sacrifices executed by the CIA for nefarious political reasons, it appears that U.S. Navy SEAL, William ‘Ryan’ Owens, was assassinated during a Special Forces raid in Yemen specifically so that his All-American good looks and beautiful wife could be used by the CIA for propaganda purposes specifically to trigger a Navy SEAL revenge attack and coup targeting the Trump Administration. This notion is corroborated by the fact that Owens was the first American to die in combat under the Trump administration. Owens was also targeted because he was an Obama supporter, making it far more likely that he would be used as a poster boy for a Navy SEAL coup targeting the Trump administration. Owens was one of the most decorated Navy SEALs of all-time which is in-part why he was targeted for assassination by the CIA. In addition to being awarded the Silver Star (posthumously), Owens received two Bronze Star Medals, the Global War on Terrorism Service Medal, the Global War on Terrorism Expeditionary Medal, the Afghanistan Campaign Medal, the National Defense Service Medal, the Good Conduct Medal, the Joint Meritorious Unit Award, the Achievement Medal, the Commendation Medal, the Sea Service Ribbon, and three Presidential Unit Citations. According to the official CIA narrative, Owens died of wounds as a result of the Yakla Raid, a U.S.-led Special Operations Forces attack in Al Bayda province in central Yemen back on January 29, 2017. Trump reportedly signed the go-ahead for the raid on January 26, 2017, just 6-days into his presidency. The notion that Owens was murdered in a ritualistic blood sacrifice is confirmed by the numerology surrounding is death. 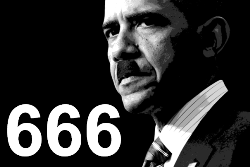 Firstly, the number ‘6’ Firstly, the number ‘6’ equates to the letter ‘F’ in the English alphabet which was formerly a double-cross (i.e., ‘ǂ‘) which suggests that Trump was tricked and stabbed in the back by ordering a failed raid designed to provide a motive for a revenge coup attack by U.S. Navy SEALs. Secondly, the number ’26’ found in the date of January 26th equates to the letter ‘Z’ in the English alphabet which is an acronym for Zionism, the political ideology of the CIA. Thirdly, the date of Owens’ death on January 29th numerically equates to ‘1/29’. Because the number ‘2’ doubles as an ‘S’ which is the 19th letter in the English alphabet, the number ‘129’ equates to ‘S+S’ which is consonantly speaking the same as ‘Suisse’ (S+S), an alias of Switzerland currently used in French, and ‘ISIS’ (S+S), the secret code-name of CIA Headquarters located beneath CERN at Lake Geneva in Switzerland. Secondly, the amount of time between Owen’s birth on March 5, 1980, and his alleged death on January 29, 2017, marks exactly 13,479-days. The number ’17’ equates to the letter ‘Q’ in the English Alphabet as in ‘coup d’état‘ which is defined as a blow or hit of state which Owens evidently suffered on this date. 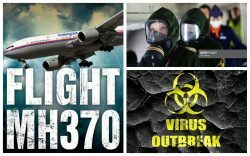 The number ‘37′ (3×7=777) is coincidentally found in the numerology of the Jewish God of YHWY (tetragrammaton) as well as in the Israeli Mossad hijacking of Flight MH370 specifically for a 9/11-style bio-chemical attack, 9/11-style nuclear attack, made-for-TV crash, terrorist invasion, or biological outbreak and subsequent global pandemic. The number ’49’ equates to the letters ‘DI’ as in ‘Die’. The ‘4/19′ numerology is found in the date of the Waco Massacre and Oklahoma City Bombing of April 19th (4/19). That is because the number ‘4′ was formerly a ‘+’ symbol which is found on the flag of Switzerland. The number ‘4’ equates to the letter ‘D’ in the English alphabet which is an acronym for ‘Die’ which is precisely why Switzerland is home to the CIA. The number ’19’ equates to the letter ‘S’ in the English alphabet which is an acronym for Switzerland, home of CIA Headquarters. Needless to say, this numerology confirms, albeit in a de facto manner, that Owens was assassinated in a ritualistic blood sacrifice by the CIA offered up to the impending Civil War in America which will be triggered by a U.S. Navy SEALs-related attack or coup. According to the official narrative put forth by the CIA, U.S. Navy SEAL, William ‘Ryan’ Owens, died of wounds as a result of the Yakla Raid, a U.S.-led Special Operations Forces attack in Al Bayda province in central Yemen back on January 29, 2017. What was intended as a lightning raid designed to grab cellphones, laptops and other information about terrorists allegedly turned into a nearly hour-long firefight in which ‘everything went wrong’, according to U.S. military officials who spoke to the New York Times. However, as the aforementioned numerology surrounding Owens’ death confirms, foul play was afoot. The notion that Owens did not die as purported is evident by the actions of Bill Owens, Ryan’s father, who repeatedly refused to meet with President Trump after his son’s body was brought back to the United States. When the U.S. Military brought Owens home, the Navy SEAL was carried out of a C-17 military plane in a flag-draped casket and onto the tarmac at Dover Air Force Base. President Donald Trump, his daughter, Ivanka, and Owens’ family paid their respects. It was a private transfer, as the family had requested. No media and no bystanders, except for some military dignitaries. Bill Owens had reportedly learned only a short time before the ceremony that Trump was coming. According to the February 26, 2017, Miami Herald report entitled ‘Slain SEAL’s Dad Wants Answers: ‘Don’t Hide Behind My Son’s Death’, Bill Owens reportedly told a military chaplain at Dover Air Force Base that, ‘I’m sorry, I don’t want to see [Trump]…I told them I didn’t want to make a scene about it, but my conscience wouldn’t let me talk to him’. Bill Owens reportedly told the chaplain who informed him that Trump was on his way from Washington, D.C., that, ‘I told them I don’t want to meet the President…Don’t hide behind my son’s death to prevent an investigation’. Bill Owens was pointing to Trump’s sharp words directed at the mission’s critics, including U.S. Senator John McCain. Bill Owens has many questions surrounding the botched raid. ‘Why at this time did there have to be this stupid mission when it wasn’t even barely a week into his administration? Why? For two years prior, there were no boots on the ground in Yemen — everything was missiles and drones — because there was not a target worth one American life. Now, all of a sudden we had to make this grand display?’ I want an investigation. … The government owes my son an investigation’, he said. One aspect of the raid which allegedly nags Owens is the fact that Trump signed the order suspending the entry of immigrants from seven Muslim-majority countries, including Yemen, on January 27, 2017, just 24-hours prior to the start of the mission. Owens wonders whether that affected friendly forces in Yemen who were assisting with the raid. ‘It just doesn’t make any sense to do something to antagonize an ally when you’re going to conduct a mission in that country,” Bill Owens stated. ‘Did we alienate some of the people working with them, translators or support people. Maybe they decided to release information to jeopardize the mission’. These are only some of the many questions that Owens believes should be thoroughly examined, including the possibility that the decision to move forward with the mission was motivated by politics. ‘I think these are valid questions. I don’t want anybody to think I have an agenda, because I don’t. I just want the truth’. The alleged blood sacrifice of U.S. Navy SEAL, William ‘Ryan’ Owens, on January 29, 2017, was executed at the behest of the CIA in-part to trigger a national scandal over the responsibility of the U.S. Navy SEAL raid in which Owen’s allegedly died. That is to say that Owens’ All-American good looks, valor and unquestionable patriotism were sacrificed in order to create a major scandal in which Trump not only appears incompetent and negligent as Commander and Chief but also unremorseful and out of touch with the military community, namely the Navy SEALs. Although the Pentagon has insisted that the raid produced ‘actionable intelligence’, they have never offered details to substantiate their claim. According to a February 27, 2017, report from NBC News entitled ‘Yemen SEAL Raid Has Yielded No Significant Intelligence: Officials‘, the raid had ‘so far yielded no significant intelligence’. Trump then broke with decades of presidential precedent and blamed the U.S. military for the failed operation rather than taking responsibility for his actions. Trump stated that, ‘This was a mission that was started before I got here. This was something they wanted to do…They came to me, they explained what they wanted to do ― the generals ― who are very respected, my generals are the most respected that we’ve had in many decades, I believe. And they lost Ryan‘. Obama administration officials countered that Trump was simply trying to pass the blame for the botched mission. Colin Kahl, a national security official during the Obama administration, stated on Twitter that, ‘In a nutshell, Trump and his team owns the process and the ultimate decision – and the consequences’. Arizona Senator, John McCain, the chair of the Senate Armed Services Committee, also labeled the raid a failure, stating, ‘When you lose a $75 million airplane and, more importantly, an American life is lost…I don’t believe you can call it a success. In order to highlight the death of Owens event further, White House press secretary Sean Spicer, stated that McCain or anyone else who questioned the success of the raid ‘owes an apology’ and ‘does a disservice to the life of Chief Owens‘. In the February 28, 2017, VOX report entitled ‘Trump Just Blamed the Military for the Botched Yemen Raid. That’s a Disgrace‘, Phillip Carter wrote that ‘…Trump’s blunt refusal to accept personal responsibility for the Yemen raid burns because it marks such an incredible betrayal of his office and the awesome responsibility that our president must shoulder, especially in the national security sphere. A president who passes the buck is not one we can trust to lead our military or keep us safe’. The quote correctly conveys the backlash that the CIA was planning to garner from the purported death of Owens. In order to highlight the failed Trump-ordered Navy SEAL raid on an international level prior to a U.S. Navy SEAL revenge attack or coup targeting the Trump administration, the CIA ordered Trump to make an announced trip to visit the slain war hero as detailed in the February 1, 2017, Military.com report entitled ‘Trump Makes Unannounced Trip to Honor Fallen Navy SEAL‘. In short, it was reported that President Trump made an unannounced trip Wednesday to honor the returning remains of a U.S. Navy SEAL killed in a weekend raid in Yemen. Chief Special Warfare Operator William ‘Ryan’ Owens, a 36-year-old from Peoria, Illinois, was the first known U.S. combat casualty since Trump took office less than two weeks prior. Needless to say, the unannounced trip was a publicity stunt designed to draw unprecedented media attention to Owens prior to a Navy SEAL revenge attack or coup targeting the Trump Administration. In order to highlight the failed Trump-ordered Navy SEAL raid on an international level prior to a U.S. Navy SEAL revenge attack or coup targeting the Trump administration, the CIA ordered Trump to invite William Ryan Owens’ alleged wife Carryn Owens to the U.S. Capitol Building in Washington, D.C., during his first-ever speech to the U.S. Congress. As detailed in the February 18, 2017, NBC News report entitled ‘Trump Honors Tearful Wife of Slain Navy SEAL‘, it states that President Trump honored the wife of the first military service member killed in combat during the president’s administration during his joint address to Congress. Trump stated, ‘We are blessed to be joined tonight by Carryn Owens, the widow of a U.S. Navy Special Operator, Senior Chief William ‘Ryan’ Owens…Ryan died as he lived: a warrior, and a hero — battling against terrorism and securing our nation’ and that his ‘legacy is etched into eternity’. The speech received a 2-minute uninterrupted standing ovation while Owens’ widow cried, crossed her arms, clasped her hands and looked toward the heavens — mouthing the words ‘thank you’. The scripted made-for-TV moment was hijacked from Alexandrina Maria da Costa who, while being blessed by the Pope, crossed her hands and looked to the heavens as highlighted in the Daily Kos report from March 1, 2017, entitled ‘Victim Soul. How Trump Used Carryn Owens to Salve the Guilt of A Nation and Absolve Himself‘. As detailed in the Vox report from February 28, 2017, entitled ‘There’s Much More to the Story of the Fallen Navy SEAL Trump Praised in His Speech to Congress‘, it states that ‘The prolonged standing ovation that President Donald Trump led […] for the widow of a fallen US commando was an effective bit of political theater. It also masked the lingering controversy over the botched raid in Yemen that took the life of Navy SEAL William ‘Ryan’ Owens, which has injected a grieving family into a raging political debate about whether the White House erred in signing off on the mission’. As with all CIA-spawned publicity stunts designed to garner international publicity, a contrived backlash to the original event naturally follows. Needless to say, this was also the case with Trump’s speech to the U.S. Congress during which he praised William ‘Ryan’ Owens, a man who likely never existed in reality. Nevertheless, the February 28, 2017, report from Real Clear Politics entitled ‘Michael Moore: Trump Used SEAL Widow Carryn Owens As A Big “F-You,” Another Notch In His Belt‘ quotes the CIA operative Moore who stated, ‘That’s why she’s there as sort of a f-you for the people who are criticizing [the mission Navy SEAL Ryan Owens was killed in]…And the poor woman, this widow who just lost her husband. She is in desperate grief right now… and in love with her husband. And to use that to put another notch on his belt and what is he thinking about? My ratings. Record applause. Record ratings. I’m going to get an Emmy for this, most applause for a dead soldier on my watch. This is the sickness of this man…He was a beloved tv star and he knew how to milk it. He knew what he was doing. He always knows what he’s doing’. Shortly thereafter, the CIA staged a second backlash publicity stunt as detailed in the March 3, 2017, Chicago Tribune report entitled ‘Chicago Man’s Tweet About Widow of Navy SEAL Killed in Yemen Costs Him Job. In short, Daniel Grilo was allegedly fired from a financial firm in Chicago less than 24-hours after tweeting: ‘Sorry Owens’ wife, you’re not helping yourself or your husband’s memory by standing there and clapping like an idiot. Trump just used you’. Because Grilo is a CIA operative, his meaningless tweet was circulated internationally on numerous social media platforms and subsequently discussed by virtually all the major news outlets in America (e.g., CNN, FOX News, MSNBC, etc.). Because his commentary was a publicity stunt designed to outrage Americans, Grilo formally apologized, stating: ‘Folks, clearly a poorly worded tweet. I apologize to all and am deeply moved by all your comments. Thank you for your feedback’. Grilo, whose Twitter account said he volunteered for Hillary Clinton’s presidential campaign, apologized again, writing in reference to Trump: ‘I apologize, I believe parading Ryan’s wife’s pain like that was shameful after his morning comments…I am so happy to see you are all inspired to protect Gold Star families, and I thank you for swiftly condemning my awful tweet’. Although Grilo reportedly deleted his Twitter account, his tweet was archived and circulated on the Internet.